Cockerel Weathervane with all steel construction. Painted Black to help prevent rust. Comes complete with fittings to fix to a vertical surface such as a gable end and a ground spike to put in the lawn. The weathervane requires some simple self-assembly which only takes about 5 minutes. Comes packaged in a picture box. 1.7M tall on the ground spike. The weathervane is approx 50cms wide. The wall plate is 12cms x 5cms and the horizontal arm is 27cms long. Complete with spinning wind speed indicator cups. 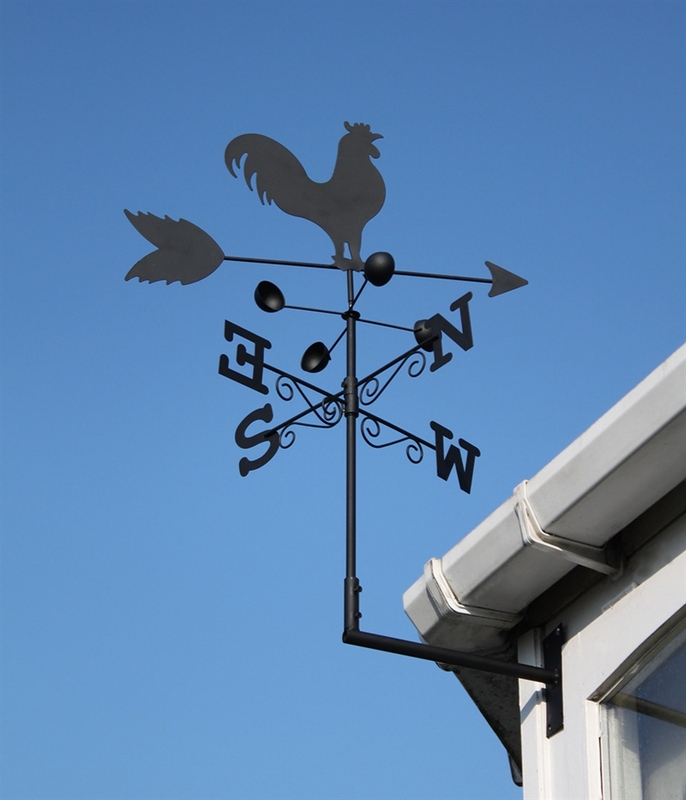 Weathervanes provide an attractive feature for any home. Weathervanes provide interest and are a practical instrument to help you keep an eye on the weather. 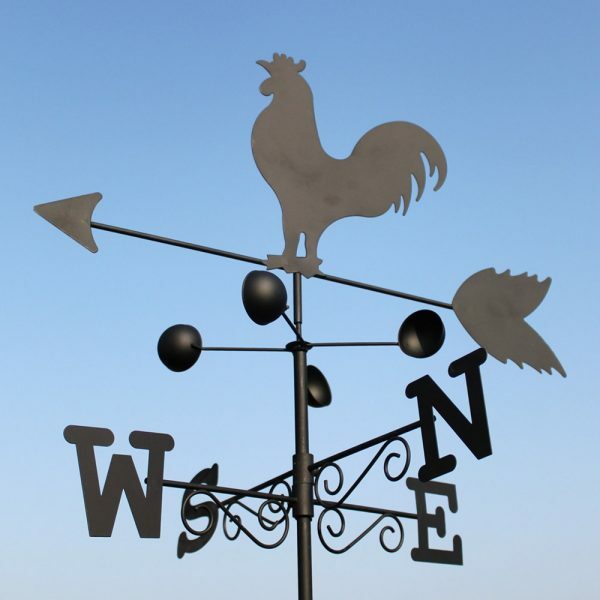 We have weathervanes in a wide range of styles and designs and our weathervanes are available made from steel, aluminium or copper to suit most requirements.